The color is vibrant and bold with beautiful gold embellishments. Fabric is surprisingly heavy and hangs well. Far higher quality than i had anticipated. "Is the lining sold separately? 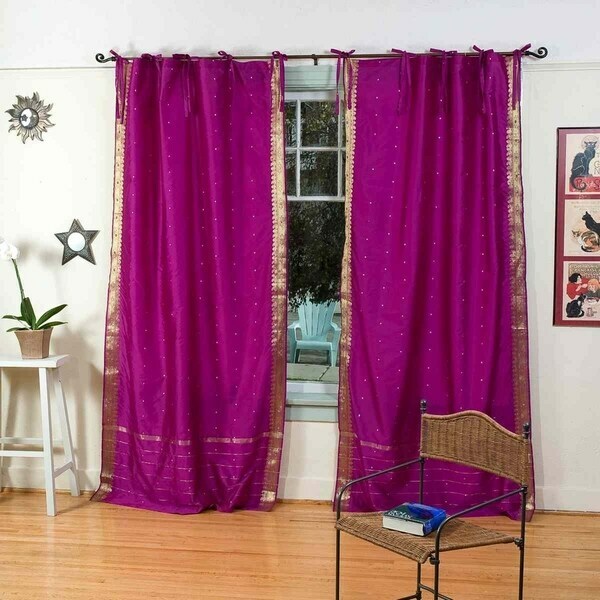 For example, do you need to order both the matching lining and no lining options for the size curtain you want"
This comes in a set of two panels. I hope it helps.